EQUESTRIAN: On April 6 and 7, four local riders travelled to Roma to attend the Zone 20 Equitation and Show Jumping Championships. 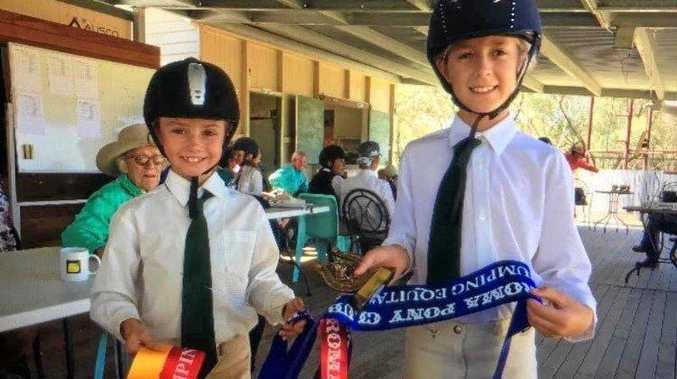 Riley and Jordyn Thureson represented Augathella Pony Club while Evie Dennis and Millie William represented Warrego. Jordyn, Evie and Millie competed in the 10 and under age group. On Saturday, all the girls achieved qualifying scores in both equitation rounds with Millie placing second and Jordyn fourth. On Sunday, in the show jumping, Millie placed second with Evie and Jordyn in a tie for third. Riley competed in the 11 years and under 13 age group. She achieved qualifying scores in all of her equitation rounds, finishing third and fourth overall. In the show jumping, she finished first and second, achieving 9/10 qualifying rounds across the weekend. State championships will be in Rockhampton in September.